This FG35L-RS is a 35-ton capacity fixed gooseneck trailer equipped with rear ladder-style ramps, heavy-duty spring suspension, two-speed landing gear and and motor grader ramps on the gooseneck. Extra strong motor grader ramps offer access over the gooseneck to machines with high ground clearance. 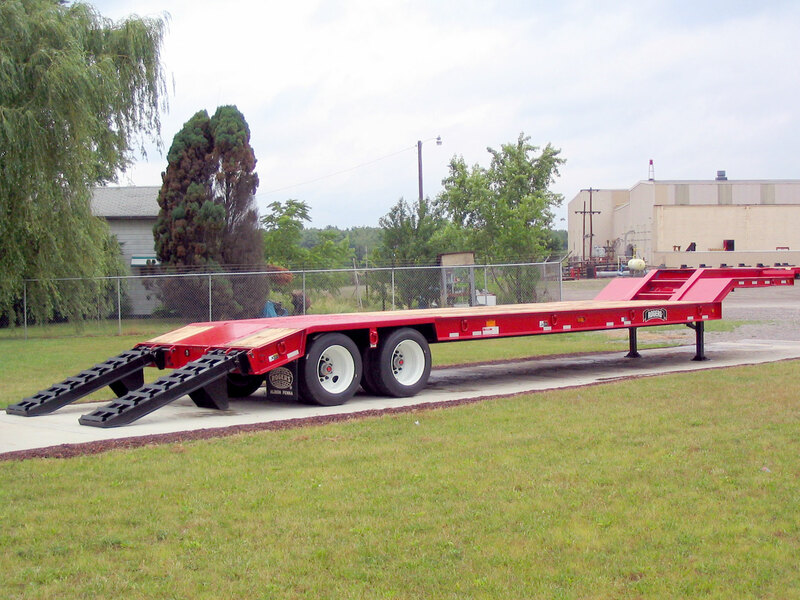 The gooseneck has an area for storing blocks and chains. The low-profile gooseneck allows for extra loading space from the deck. The ramps and beavertail have a 14° loading angle for easy loading. Ladder-style ramps (24" W x 72" L) are laterally adjustable and spring-assisted.